Could Picea pungens 'Edith' be the very bluest conifer out there? Quite possibly! This Blue Spruce tree has the clearest, iciest blue, pine needle like foliage. The eye-catching foliage becomes densely packed in a pyramid or Christmas tree like shape. Expect 3 x 2.5 metres in 20 years from this Blue Conifer when planted in moist but well-drained soil. This small garden tree will grow in most soils, excluding dry soils; it is also best to avoid full exposure. 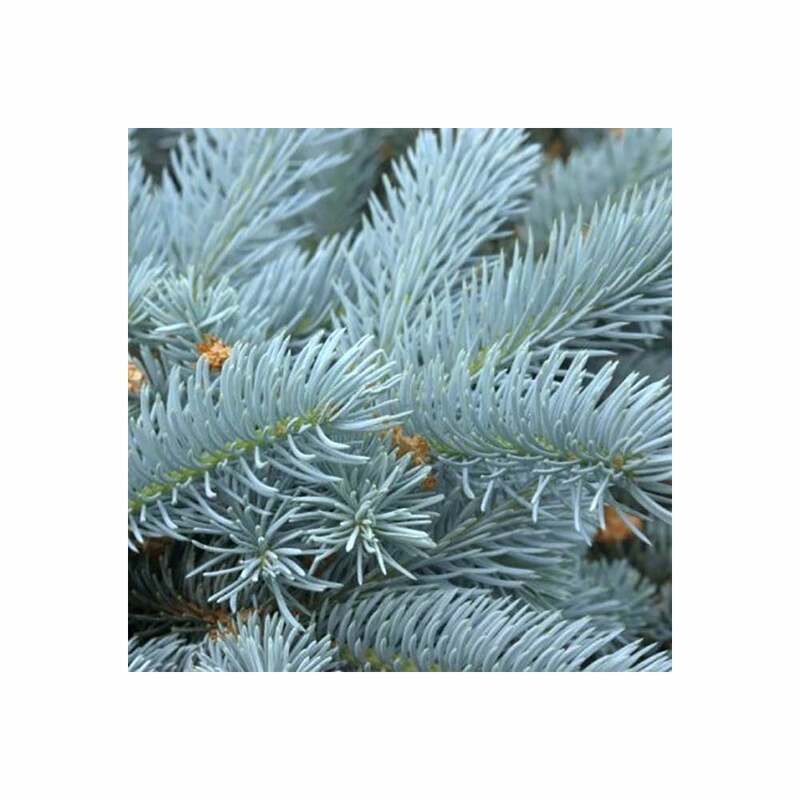 Providing year-round interest, this popular Blue Spruce is often considered an improved form of Picea pungens Hoopsii. Picea pungens Edith will provide bright, icy, year-round structure and form to your garden, perfect to use as a foil for other plants, this small evergreen tree is a striking choice. Our pot grown Edith Blue Spruce trees can be planted at any time of the year. Firstly, remove weeds and grass within a metre of your desired planting hole. Next, dig square a hole as deep as the root mass and approximately 2x as wide. To help conifers establish more effectively, we advise sprinkling rootgrow in the hole. If you’re planting Picea pungens in spring or summer, water well and regularly for the first few months. Keep an eye on young conifers and increase watering if there are extended periods of hot or dry weather. If you’re planting in autumn, you may only need to water your tree a little. We stock a range of irrigation kits, suitable for a variety of planting schemes. Edith Blue Spruce conifers do not require a lot of pruning. Simply remove any dead, diseased or awkwardly placed branches as and when you see them.